Let me begin by asking, who among us is not worried about health? Well, this isn't a difficult question to answer and I know for sure that all of you out there would say "certainly, I am". In this fast paced world, we all get so carried away with our day to tasks that we almost forget about our health unless something literally starts bothering us. I was always neglecting pain on my left hand after I recovered from a tragic accident. Little did I knew that this pain will turn into a situation where I need to get operated. So it is very important that we do not neglect our body and closely observe the signs it emits. With the increasing issues with our health, the time that we spend with the doctors have decreased and the reports that we need to submit have increased. Some of the hospitals are still using modern equipment but old traditional way of storing their patients' data. Today if something goes wrong, one is expected to drive to nearest clinic/hospital and make sure the examining doctor is aware of all of our medical history before treating us. This process is not only time consuming but also not the most efficient way to handle things especially when instant care is needed. So now people who are paying for more of healthcare are demanding transparency, convenience, and value. As a consumer if there is an option which gives me all of my medical history at the tip of my finger including doctors consultation, sending of reports, appointments and delivery of medicines etc etc, don't you think this would change a lot of things around us, especially when it comes to EHR. To bring in this change the current medical system needs to join hands with the growing technology and people have to come forward to support this cause. EHR has come a long way over the last couple of years however a large opportunity exists for integrating EHRs with other databases and devices, such as those used for customer relationship management, billing, research and development, and mobile health and analytics. 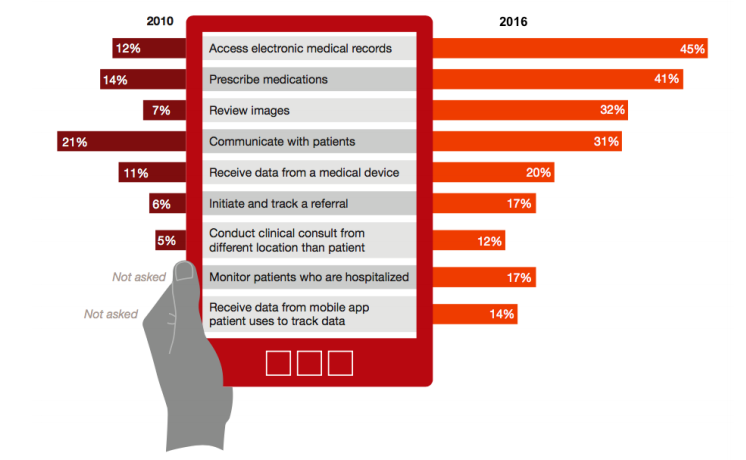 In the future, patients will expect to see their data, and this will drive more data standards, which will in turn drive physicians to exchange more information with each other. The last thing people need is 100 of applications that confuse them even more. Litra bridges the gap between technology and healthcare. Instead of having multiple applications and platforms, there will be just one application that will run on Litra blockchain which will handle everything. Litra is the next hop when it comes mass adoption in crypto world. The team believes that with great product in hand, all that they need is exposure and not marketing. Litra blockchain will provide additional sustainability and transparency to the healthcare industry. Data can be stored anywhere while the blockchain stores the link to EHR updates. Litra would bring all of your health data to your mobile device. Currently they are running their Pre ICO and one may visit their official website for additional details. Please use the upvote button and leave your valuable comments. This will encourage me to keep writing for all you Steemit readers out there. Thanks, indeed this coin has potential to do wonders if placed tactfully in the crypto market. Please note the new Telegram channel for Litra is https://t.me/LitraCoinICO . Do not join any other channel other than what's listed here as these are the only official ones.